A jawbone, thought to be human, has been found near a river, police have said. 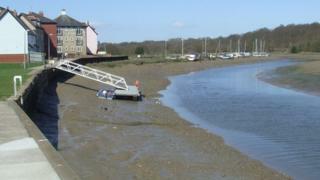 The discovery was made on Saturday afternoon in Rowhedge, near Colchester in Essex. Essex Police said its "inquiries are ongoing". "We were called at 14:35 GMT on Saturday 16 March with reports a jawbone, believed to be human, had been found along a river walk in Rowhedge," a spokesman said.